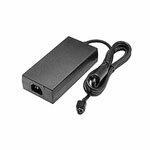 Cables, Serial printer cable, 9-pin to 25-pin, 6 ft. Replaces (Part# PCM-1970-06). Barcode Ribbons, Black ribbon for A721/A758/A776 printers, 5ml characters. 6 roll case. Also available as a roll (Part# A152-0042-R). USB printer cable, USB 2.0 Cable (10 feet, A to B, 24-28 AWG) - Color: Beige. USB printer cable, USB 2.0 Cable (6 feet, A to B, 24-28 AWG) - Color: Beige. 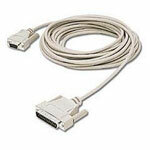 Serial printer cable, PCM-1970 Null Modem Cable (6 ft. DB-9F-25M) - Color: Beige. 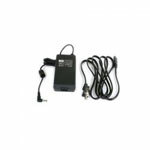 Serial printer cable, Cable (6 ft. Null Modem, DB-25 Male-Female). Parallel printer cable, Cable (6 feet, Parallel PC to Printer, DB-25 Male-Centronics 36 Male). Perfect for any printer application! Barcode Ribbons, Black ribbon for A721/A758 printers, 5ml characters. Single roll. Also available as a case (Part# A152-0042).